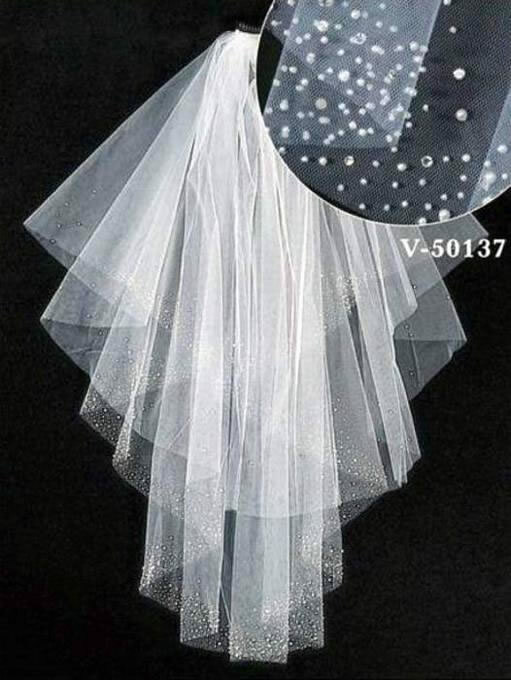 Beautiful two tier veil heavily accented pearls, clear beads, and rhinestones that form a beautiful scattered pattern along trim. Length is 36" X 108" inches. Currently only available in: Ivory / Offwhite shade.